Please see the �Support� tab for importing instructions. �Customizable Clock Widget� can be quickly customized to suit any person or business. A few simple adjustments can result in an application that is ready for submission to the Google Play Store. 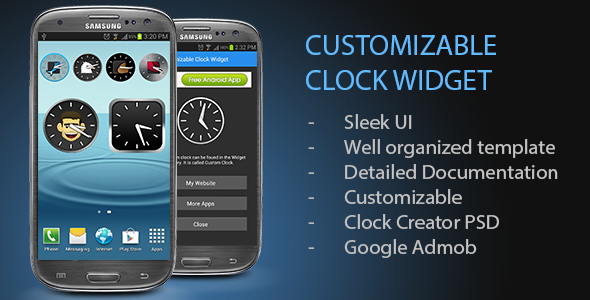 The app features an analogue clock widget, as well as a launcher page to compliment the widget. 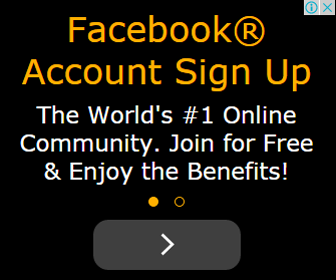 Google Admob is incorporated into the launcher page. �ClockFaces.PSD� is a Photoshop Document included where you can pick from ready-made clock faces, or build your own using the provided smart objects.